I've migrated my old support site from phpBB to Vanilla (and what an improvement it is too!) 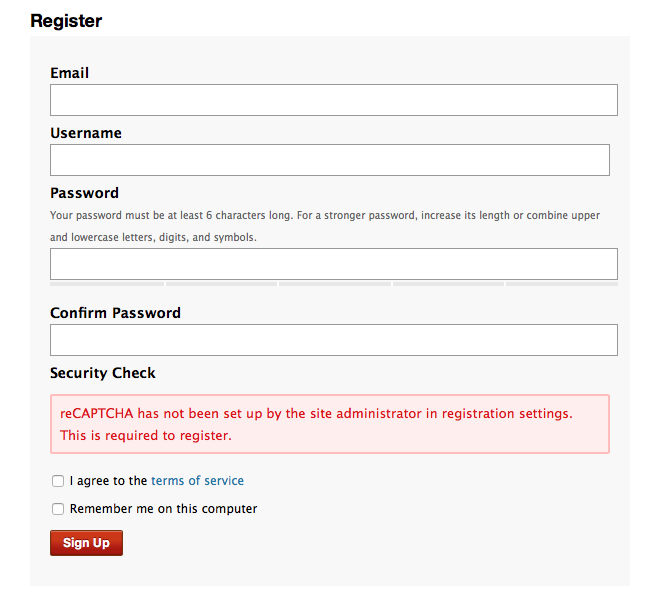 - but I'm having some difficulty with Recaptcha. I've entered my keys in the User Registration Settings - and clicking Save reports that 'Your settings have been saved' (which sounds hopeful), but sadly Recaptcha still doesn't work. Looking through my Vanilla install, I see that I have applications/dashboard/settings/class.hooks.php, configuration.php and structure.php - but no registration. Is something missing from my install? How can I make this work? Thank you in advance for any help that you may be able to provide. 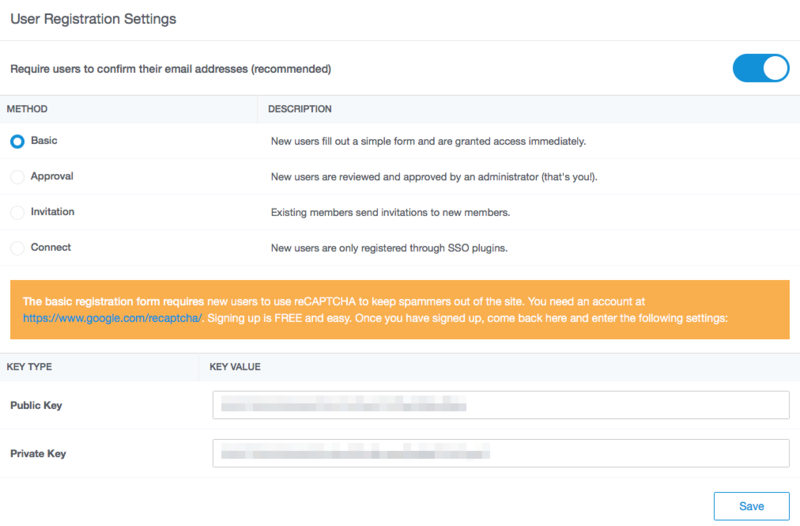 "yourdomain.com/index.php?p=/dashboard/settings/registration". So the only file you will find is the index.php and which file is called afterwards is depending on that "front controller". You will most probably be able to find /applications/dashboard/controllers/class.settingscontroller.php with the method registration, but you shouldn't need to search for that. My website is setup using nginx in Docker - hence the use of 8080 and 8443.